You’re in your 50s. It’s the prime of your life?—?or it should be. Don’t let illness rob you of your health. When you go for your annual physical, make sure your doctor performs or recommends these simple tests that may save your health -and your life?—?later. If you’re visiting a doc on the regular, she should keep you up to dated on the blood tests that can help you stay healthy long-term. In other words, blood tests alone are no panacea. Still, it’s important to know what you need and when. So for many men women, no doctor takes care of it all?—?so it is up to you to see that you get all the tests you need?—?at the right time and on time. Add to that the fact that no one doctor today can keep up with all the latest information about everything. Nearly 50 per cent of women in India live with an abnormal cholesterol level, an alarming indicator of the risk of their being prone to cardiovascular diseases (CVD), a survey has showed. The survey by a diagnostic chain revealed that 48 per cent women in the age group of 46–60 years had the highest level of abnormality in the lipid profile tests?—?the number one cause of death globally and in India. Further, women living in North India (33.11 per cent) and East India (35.67 per cent) had higher abnormal levels of triglycerides while low HDL and high total cholesterol levels were more commonly seen in women living in South India (34.15 per cent) and West India (31.90 per cent). “In India, cardiovascular disease is the number one killer of women. A lipid profile test measures the amount of cholesterol present in lipid carrier proteins like low density lipoprotein (LDL), high density lipoprotein (HDL) and fats (triglyceride) present in the blood. Cholesterol can save you from mini heart attacks. If you’re overweight and have high blood pressure and a history of diabetes in your family, you’re a prime candidate for a screening test of the sugar in your blood, If your blood glucose has been normal repeatedly but you’re still considered high risk, the test is probably not needed more than once every year or two. If your thyroid-stimulating hormone blood test reveals that you have high TSH, you have an underactive thyroid, or hypothyroidism incredibly common in the older adults. At this age of 50, all women should have started routine mammograms to help detect any early signs of breast cancer. Your doctor can tell you how often you should repeat the test. Early detection of breast cancer can save your breast and your life. 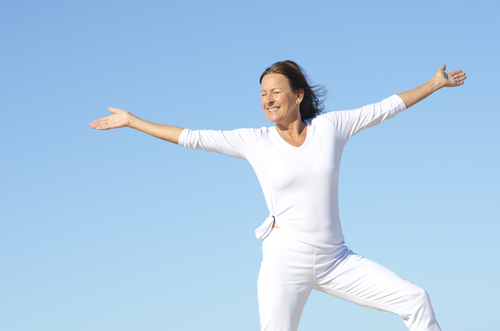 Menopause assessment is very important at the age of 50. Let us help all the women and provide better healthcare services to them in the society. For more visit our webpage and book your medical health checkup today?—?www.lalchandanipathlab.com .For women 50 and over you need the following tests and exams to get the best snapshot of your overall health. Make sure you understand the purpose of every exam or test your doctor orders for you. Because everyone is different you must be sure to talk with your doctor about your specific treatment goals.